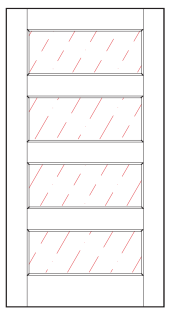 with a gently sloped Waterfall™ profile. 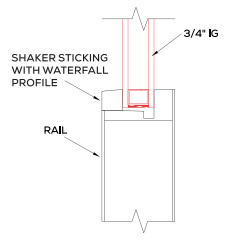 This profile allows water to cascade off the sticking and away from the door. the Simpson standard square-shaped shaker sticking.